Isaac Newton (1643-1727) is still regarded by the world as the greatest scientist who ever lived. He invented calculus, discovered the binomial theorem, explained the rainbow, built the first reflecting telescope, and explained the force of gravity. In his famous masterpiece, Principia Mathematica, he described the mechanics of the physical universe with unimagined precision, proving the cosmos was put together according to laws. The perfection of these laws implied a perfect legislator. To Newton, they were proof that God existed. At the same time Newton was writing Principia Mathematica, he was writing a twin volume that he might have called, had it been completed, Principia Theologia--Principles of Theology. This other masterpiece of Newton, kept secret because of the heresies it contained, consists of thousands of essays providing equation-incisive answers to the spiritual questions that have plagued mankind through the ages. Examining Newton’s secret writings, John Chambers shows how his brilliance extended into alchemy, spirituality, the search for lost continents such as Atlantis, and a quest to uncover the “corrupted texts” that were rife in the Bibles of his time. Although he was a devout Christian, Newton’s work on the Bible was focused not on restoring the original Jewish and Christian texts but on rediscovering the one true religion that existed prior to the Flood of Noah, when science and spirituality were one. The author shows that a single thread runs through Newton’s metaphysical explorations: He is attempting to chart the descent of man’s soul from perfection to the present day. The author also examines Newton’s alternate timeline of ancient history and his study of prophecy through the Book of Revelations, including his prediction of an Apocalypse in the year 2060 followed by a radically transformed world. He shows that Newton’s great hope was that these writings would provide a moral compass for humanity as it embarked upon the great enterprise that became our technological world. In 1694, word got around the scientific community that Isaac Newton had gone mad. What caused Newton's nervous breakdown? It's easy to say it was the immense labor of writing the Principia Mathematica. But that book had been completed six years before. Was mercury poisoning a factor? Newton had been doing alchemical experiments almost every day for thirty years, and almost every day he tested mercury on the tip of his tongue. And we can’t discount the role Newton’s young protégé Nicholas Fatio de Duillier might have played, but he was only an element. Perhaps there is a more fundamental reason. Newton had his nervous breakdown at about the time he decided to leave Cambridge and look for a position in London. He didn’t actually move to London until 1695, but the decision was made in 1693, and it unleashed in Newton a storm of conflicting psychic forces that immobilized him for many weeks and sent the rumor flying about Europe that he had gone mad. Up until early 1687, when he was completing Book Three of the Principia Mathematica, Newton was not much interested in the world beyond the gates of Trinity College, and relatively innocent of the evil that flared up often in the bloody arena of Augustan political life. What little he knew of evil, he’d gleaned from the ancient tomes. But this second-hand exposure to evil wasn’t enough to make Newton heed the warning of Moses and Pythagoras that the highest knowledge should be hidden from the commonality of mankind if only for its own sake, since the ordinary run of man and woman couldn’t be expected to do more than misunderstand and abuse such knowledge, and might well turn it to evil purposes. He took this seriously--but not seriously enough to make him say no to Edmund Halley when the latter begged him to write a book that would reveal Newton’s own highest knowledge to the world. Instead, he went ahead with the Principia. Something was about to happen that would make Newton regret his decision. He was about to have a personal encounter with evil. 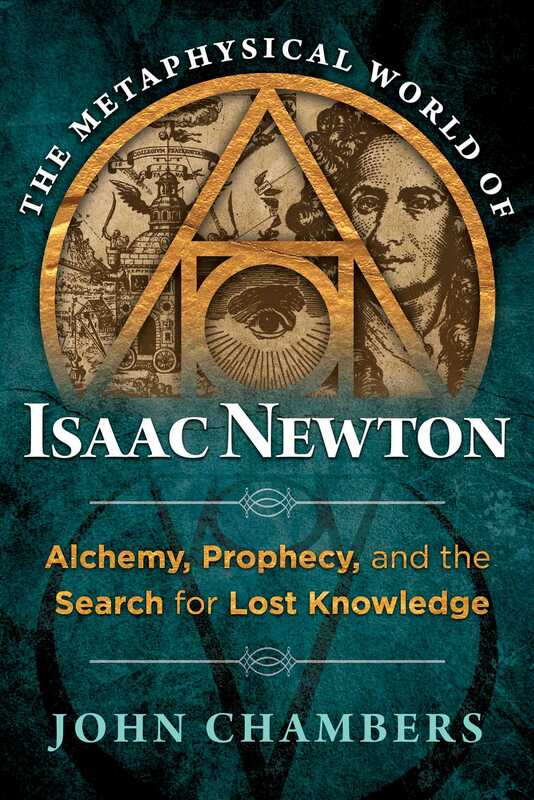 "In this detailed book, the late academic Chambers (1939-2017) takes readers into the strange spiritual and occult world of Isaac Newton (1643-1727). Newton, known primarily as a physicist, a mathematician, and the author of Principia Mathematica, also practiced alchemy, researched prophetic biblical notions, and wrote extensively on theology and religion.The book is aimed squarely at Newton fans, who will be delighted by Chambers’s insightful, thorough investigation."